So many glasses, so many shapes, so many sizes. Determining the perfect, or prédicat, glass is simple. It all rests on what beverage is being served. ZWILLING JA Henckels, the German Cutlery company, is showcasing their newly released Prédicat line of German made, lead-free crystal glassware at this year’s Seattle Food and Wine Experience. Each glass with its brilliant sparkling clarity is produced from a special formulation for long lasting durability. These glasses are resistant to chipping, scratching and breakage, dishwasher safe and most important of all are perfectly shaped to afford maximum enjoyment out of each and every glass of wine. Glass makers, German glass makers in particular, involve the laws of physics when designing glassware. Sure a glass is a simple delivery system, but gravity, surface tension and flow from glass to palate all play a role in prédicat enjoyment. And in particular when drinking wine, the glass does matter. The senses pick up nuisances in scents and flavors due to the glass’s shape. Based upon the individual characteristics of the liquid within the glass serves as a foundation for glassware design. A glass transports the wine’s message of color, bouquet, texture and taste. 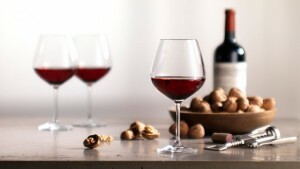 Sipping the same wine from different glasses has tricked connoisseurs to believe they were tasting different wines. Sure we have all enjoyed wine at a picnic in plastic “high-ball” glasses. However, wine served in a specific shape, designed for the particular varietal does matter for maximum intensity and total enjoyment. 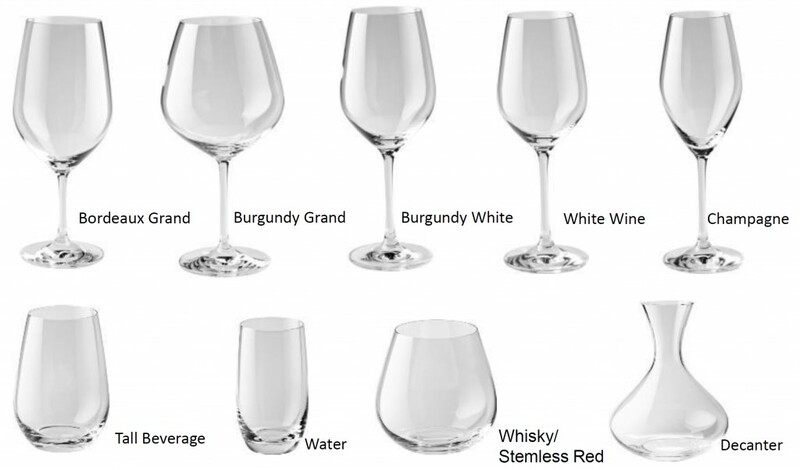 One determining factor in selecting the glass shape best suited to set a wine up for enjoyment is the rim diameter. 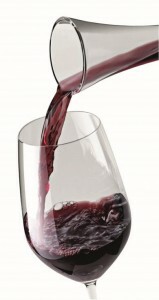 It is the rim that aims the liquid at a particular point of the palate. ZWILLING’s classic Burgundy stem has a large bowl with a narrower rim, designed expressly for low tannin red wines. This design directs the wine to the tip and along the sides of the tongue, areas where the juicy and fruity quality of Pinot Noir are best noted. The generous size maximizes the surface area available for swirling and aeration. The ZWILLING glass created for Bordeaux wine, full of Cabernet Sauvignon, is shaped to deliver the classic aromas of plum, black currant, violet and cedar. The space between the wine and the mouth, called the chimney, allows the complex aromas to develop. Its broad rim directs wine in a flat pattern down the middle of the palate. This maximizes the power of the finish and enables the broadest expression of the grape to be showcased. While the plastic “high-ball” may deliver the wine just fine, for optimal enjoyment select the glassware that can enhance your pleasure. Come visit ZWILLING to be some of the first to see and feel the Prédicat glassware at the Seattle Wine and Food Experience, POP! Bubbles and Seafood Event, Saturday Feb. 20th.